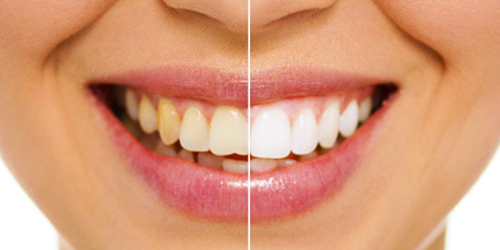 Dental inlays and onlays are customized, restorative fillings that repair rear teeth with little to moderate decay. This procedure is usually recommended when one has too much decay for fillings to be effective, yet not enough damage to warrant the crowning of the tooth. When successfully done, this procedure allows a dentist to conserve more of the patient’s original tooth structure than with other treatments. The difference between these two forms of restoration lies in the level of damage one’s tooth has endured. Inlays are similar to fillings and fit within the top edges of the tooth. Onlays are a bit more extensive, extending over one or more cusps of the treated tooth. Some get confused when they hear about inlays and onlays, as there are similarities with fillings and crowns. The procedures of inlays and onlays do differ from fillings and crowns, and some of the differences are laid out here. Inlays and onlays, unlike fillings, are developed in a dental laboratory to specially fit into the decayed parts of your tooth. What that means for you is a tooth that engineered to fit into your tooth and emulate the natural look and functionality of a healthy mouth. As they are made from a more sustainable material, inlays and onlays last longer than fillings, strengthening teeth almost as much as natural tooth enamel. Unlike crowns, which fully encapsulate the whole tooth, inlays and onlays retain as much of the natural tooth form as possible, melding with the part of it that isn’t decayed or damaged. Inlays and onlays are easier to maintain and clean than crowns, and will retain their natural look and color better than fillings. As they are extremely tough and durable, inlays and onlays prolong tooth life and prevent the use of further and more extensive dental work. Inlays and onlays can last up to 30 years, almost double the lifespan of fillings. Despite the above information, there are certain cases in which fillings are the better option. The determination is best made during a private consultation with Dr. Jivraj, in which he will provide an accurate analysis of your ideal treatment options. 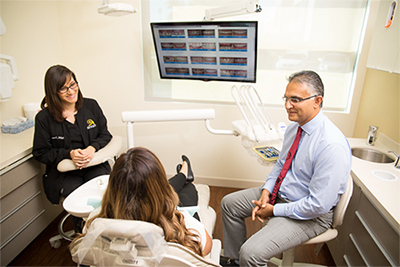 If you are a candidate for the inlay or onlay procedure, you would be hard-pressed to find a dentist in Ventura County more capable than Dr. Jivraj and his team at Anacapa Dental Art Institute. With over 25 years experience to boast, Dr. Jivraj is truly an artist when it comes to the inlay and onlay procedures. To learn more about how inlays and onlays can help you repair your teeth, please call our office to schedule a private consultation today.